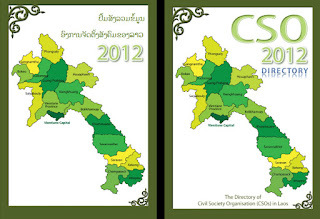 We often hear about international non-government organizations (iNGOs) but rarely do we hear about the work of Lao civil society organizations. In fact, even many Lao people are not aware of all the different Lao organizations and the positive work that they do. Indeed, as it turns out there are a lot. Lao NPA Network's Learning House for Development along with the support of other iNGOs worked on creating the directory list document of all these organizations. And it comes in both Lao and English. Check out the Lao NPA Network's Learning House for Development website and head over to their Downloads page.